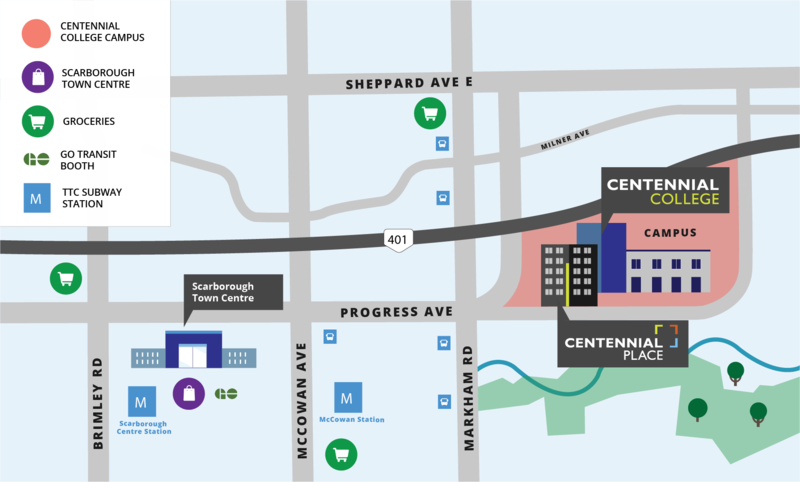 Located in the heart of Centennial College Progress Campus, Centennial Place offers community amenities that help you stay fit, give you privacy to hit the books, and space to socialize when you're done. All the amenities you need to stay fit, healthy and happy. Features that mean you'll love calling Centennial Place home. On-campus convenience makes your student life easier.